Nestled between the Pacific Ocean to the west and the Caribbean Sea to the east, Costa Rica is a Central American tropical oasis. The lush greenery, luxurious beaches, majestic volcanoes, and sparkling waterfalls draw travelers in and help them forget their troubles. One of the strongholds of the Costa Rican economy is its focus on ecotourism. Costa Ricans express dedication to preserving their natural flora and fauna, keeping it as untouched by human disturbance as possible. What better location in which to invest in a relaxing beachfront bungalow? The team at Equity Residences recently launched a new property along the coastline in Guanacaste, Costa Rica. Managing director Greg Salley said it may be their best property yet, and it’s easy to see why the equity fund is excited about this fantastic new beachfront house. Costa Rica is a nature lover’s paradise, but its appeal isn’t solely nature oriented. Relaxation is king in this country, and investors can be confident in their choice of this travel destination. Costa Rica’s climate is tropical year-round. The warm temperatures and sandy beaches invite guests to put up their feet and make themselves at home. Unlike beaches on either the east or west coasts in America, which can be too cold or choppy during winter months, the beaches on the northwest coast of Costa Rica are warm and silky year-round. Equity Residences found their beachfront house along this coastline, and it lulls travelers to relaxation with its view of the blue waters of the Pacific Ocean. Visitors and new residents come from around the North American continent. Whether on the west or east coast, travelers will find direct flights from several major airports near them. Rental cars allow guests the freedom to roam with ease. Only hours from their homes to this tropical oasis, visitors find the travel time well worth the relaxing pace and tranquil beauty of Costa Rica. Costa Rica is known for its happy people and friendly service. In fact, it’s ranked number one in the world for happiness. The low taxes, great healthcare options, educational opportunities, and welcoming communities contribute to the overall satisfaction of the region. Add to that the warm sunshine, pristine waters, and stunning mountain views in the distance, and it’s not difficult to understand why Costa Ricans are happy people. This positive atmosphere lends itself well to relaxation, inclusion, and equality. Whether you’re a prosperous banker or the pool guy at the nearby five-star resort, everyone in Costa Rica seems to exude kindness. This is especially true for those who choose to escape from the tourist resorts and spend some time among the locals. 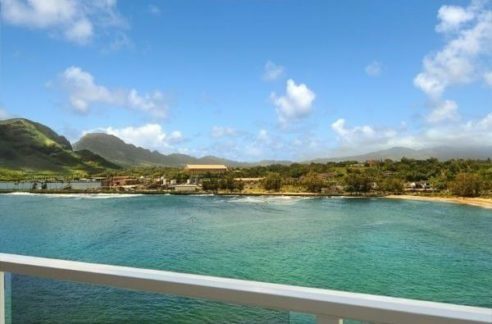 The Equity Residences beachfront property is situated in a gated community right along the coastline. One can step out the back door, and a few paces later, find themselves in pristine Pacific waters. This situation allows guests to interact with the locals, immersing them in real Costa Rica culture. Many travelers or investors prefer these stays along the golden coast of Guanacaste. Those looking for activities outside of beach play need not look too far. The local area boasts top-notch golf courses, restaurants, and spas. Kayaking, snorkeling, diving, and sightseeing tours are available in the local towns. These activities come at an array of price points, which makes them ideal for any traveler. For those looking to participate in more high-end entertainment, there is no shortage of five-star hotels and resorts with amenities to enjoy. This inclusive atmosphere enhances the relaxed vibe of the area. With no need to impress anyone, visitors can be confident in being themselves with no holds barred. Costa Rica is the ideal spot to forget your troubles and leave behind the pressures of regular life. One of Costa Rica’s best economic traits is its focus on ecotourism. To some, Costa Rica may look to be an underdeveloped country. Dirt roads, tin roofs, and wire fences all add to the low maintenance feel of the region. However, this simplicity only enhances the country’s commitment to keeping nature as natural as possible. Rather than speeding cars on paved highways, guests find tranquil walks along a dirt road. They find undisturbed waterfalls and majestic mountain peaks. In fact, the Costa Rican economy has been strong for several years. Other large industries within the country include pharmaceuticals, financial services, and renewable energy. Almost 100% of the country’s electricity is renewable. This is a feat unreached by other developed countries. When it comes to construction in Costa Rica, builders are required to follow strict guidelines to maintain the eco-friendly focus of the country. Builders can’t build too close to the water, nor can they destroy fully developed trees. The government requires anyone dedicated to building throughout the country to obtain permits, and the process is costly. These factors deter all but the most determined builders—those builders who are as dedicated to preserving the natural beauty of Costa Rica as the people who live there. This is evidenced in the way they build their homes with high-quality materials and supplies. These supplies allow the builders to create homes that are as energy efficient as possible. In turn, the housing developments in Costa Rica are quality investments. As building or investing in Costa Rica can be a challenge, it can be difficult to find the right property. The Equity Residences beachfront house on Potrero Beach in Guanacaste has many features that make it appealing for the traveler looking for that perfect oasis home. It’s a beachfront house along the Pacific coastline. It has beach access and direct ocean views. The house is located inside a gated community that boasts 24-hour security to keep residents safe and confident in their security. The gated community is quiet and tranquil, with lots of natural appeal for those looking for a relaxed oasis. Birds and wildlife can be found just steps away. The home’s builder constructed it with great attention to detail. The builder takes pride in her work, putting time, money, and emotions into her choices to ensure the most fantastic result possible. This is further evidenced by the other nearby projects she has constructed. There are lots of easily accessible nearby attractions for guests and residents to enjoy. Breweries, clubs, wine shops, marinas, water sports, golf, sightseeing, and more are all a short distance away. This accessibility simplifies the travel experience for visitors. With rental rates in Costa Rica on the rise, many properties are comparable to U.S. prices. Prices are still recovering from recent market peaks, meaning they aren’t likely to fall quickly anytime soon. Pair that with the lack of seasonality in the area because of the year-round tropical climate, and there is rarely one season that is more affordable for a visit than another. The property is deeded, which is a unique feature in Costa Rica. In fact, 97% of beachfront properties are on government-owned land. With a deed in hand, investors can have peace of mind that their investment is secure. If you are looking for a beautiful tropical oasis in which to invest, you can’t go wrong with Costa Rica. The silky sands, sparkling waters, and natural beauties combine perfectly with the luxurious amenities throughout the area. The relaxing and low maintenance vibe of the regions allows travelers to enjoy a carefree vacation. This beachfront property is sure to satisfy, not only meeting but also exceeding all expectations.